Welcome to my website where I share my love of Hawai`i through photography and words. My first trip to Hawai`i was in 1974 — and when I stepped off the airplane, it felt so comfortable and welcoming that I felt like I was coming home. It was almost like I was Hawai`ian in a previous life. 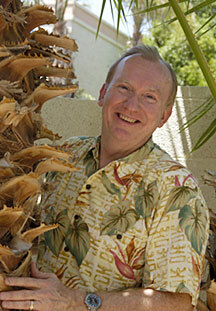 I have visited Hawai`i more than two dozen times and even lived on Maui in the mid-1980's. Unfortunately, I was not able to survive economically and returned to the mainland. Over the years I have captured many beautiful scenes — focusing on preserving the unspoiled scenery before it is changed by "progress". Please join me on a tour of these wonderful islands. Come back often as I plan to add many more photographs as time permits. © B. David Cathell Photography Inc.